You know how there are some cities you can just love and love and love? 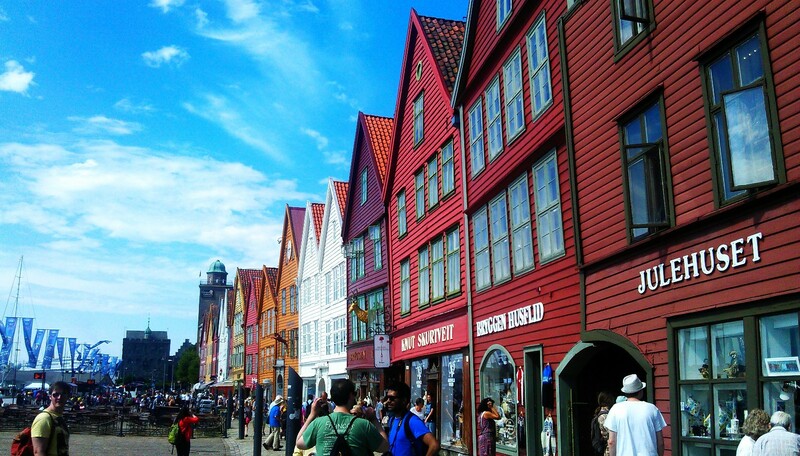 Bergen exceeded my expectations in every way. Not only that it was colourful (you guessed it, that’s all that counts for me) – the streets are full of talented artists, shops, and restaurants are very accessible. 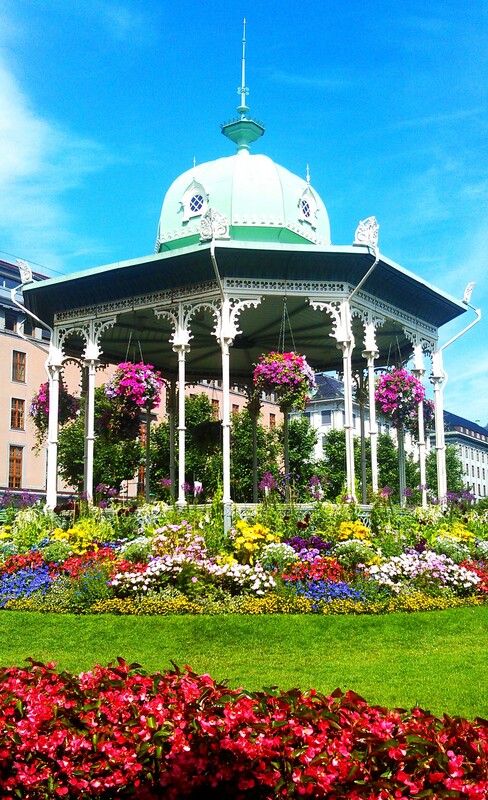 There aren’t that many tourist attractions (yet still enough you won’t be bored), but if you’re like me and you find a garden full of flowers astonishing, then you can really enjoy it. It’s that kind of city you visit when you just want to empty your head, relax and love life. 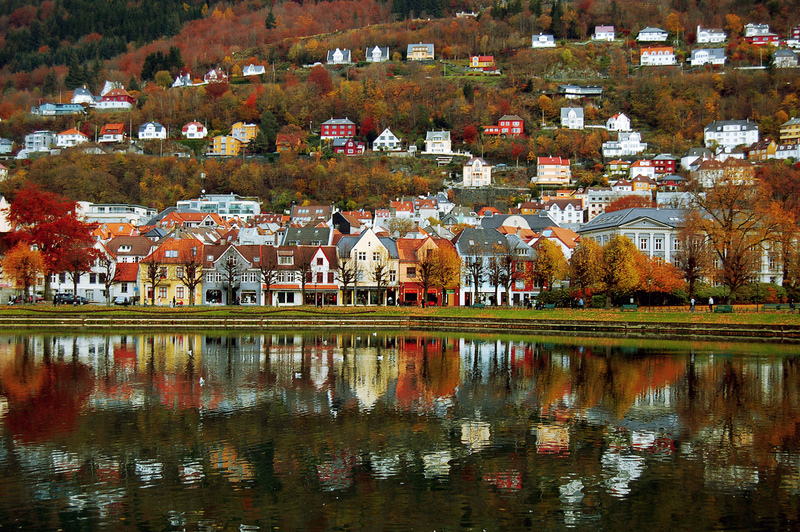 Bergen is the second-largest city in the country and also an international centre for aquaculture, shipping, offshore petroleum industry and subsea technology, and a national centre for higher education, tourism and finance. Huh, what a long list! Many cruises stop there, bringing nearly half a million passengers each year, which makes the city very touristic; the streets are full of foreigners in summer (I don’t know how it is in low-season, but I suppose it’s not as bad). Even the market is covered with Spanish and Italians who are trying to sell some paella, tapas and more. After a quick stop at KODE Art Musems, we had a very delicious lunch and then went to see Rosenkrantz Tower. Then we used Fløibanen (funicular) to visit the mountain of Fløyen – a truly fantastic viewpoint. There you can either potograph, sit on a bench and talk to Norwegians or go around hiking. There are several lovely trails. I chose option number two, a free class of Norwegian language (apparently my intonation is a bit off). 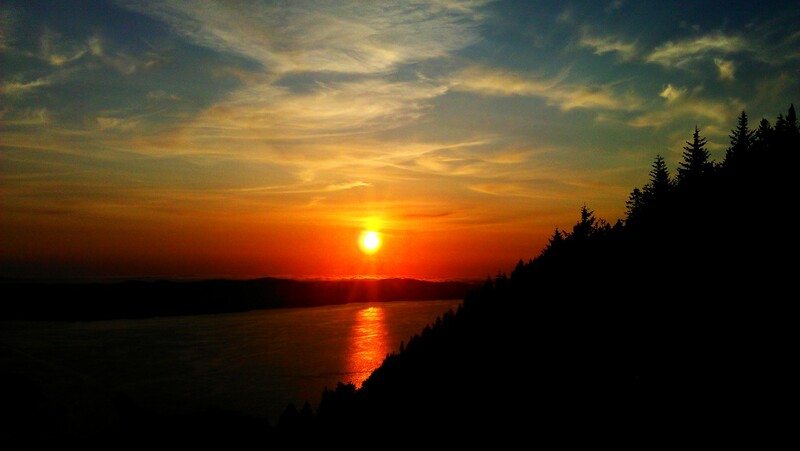 Here’s a quick shot of a marvelous sunset we saw that day. The last funicular to the city left at 10:30pm. 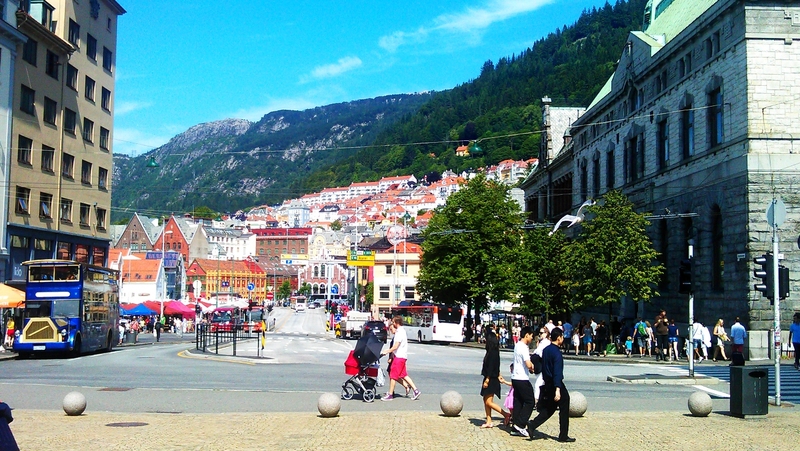 Once back in Bergen, we continued wandering around before heading back to the hotel. All images but the first one are mine. The image showing the colourful buildings was found on Flickr.